Houston's best vetted and insured personal trainers delivered to your home, park, or building gym. Let’s face it, getting in shape can be hard. 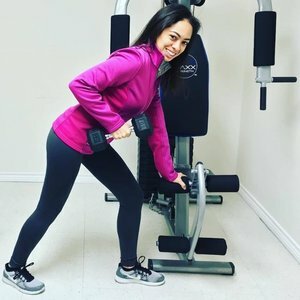 Our Houston personal trainers will create a personalized workout plan, show you what to do, and support you every step, stretch and rep of the way. We are committed to your long-term success. 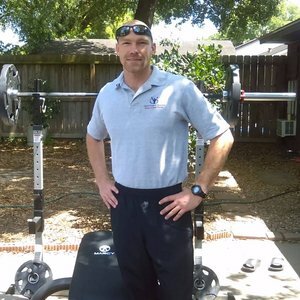 Read bios and reviews of personal trainers in Houston and pick the perfect one for you. 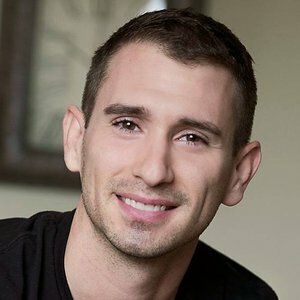 perfect local Houston trainer for you. While I have only known Melanie a short time, it has been easy getting to know and trust her as a trainer. Each session has been challenging yet rewarding in my overall fitness goals. The years of experience Melanie has are evident in her training techniques and exercise variety. The workout sessions continue to keep me motivated and getting stronger each day. In addition to the motivational exercises, Melanie is also easy to relate to on a personal level. I find myself sharing my life experiences with her, much as I would a friend. She is very personable and comforting to talk to. 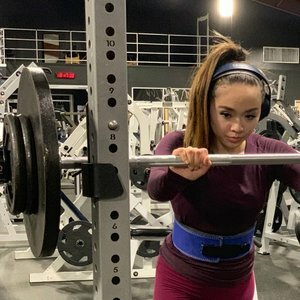 It is obvious that she has many “friends” at the gym as she is always greeted with a smile, which is always returned by Mel. 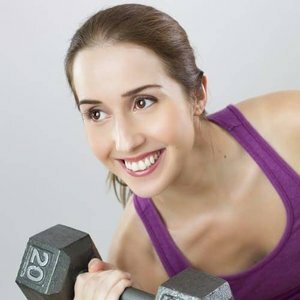 I would highly recommend Melanie Lewis as a trainer and motivator for anyone facing the battle to lose weight or otherwise improve their health. I have worked with Bree for over a year. After just a few months, I could see the difference from working out with her. She is tough and has held me accountable. She has me try new exercises every time so a work out does not get boring. She has helped me to meet all of my fitness goals. 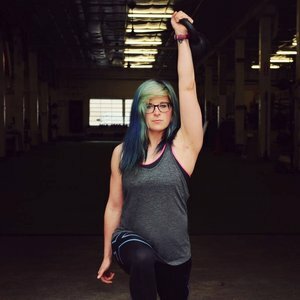 I highly recommend Bree to anyone looking for a trainer. Coach Matt is fun, passionate, and knowledgeable. He has a trained eye for the human body and how to improve movement, increase flexibility, and relieve pain. Training with Coach Matt is always a fun time because of his attitude. I highly recommend spending your time with him, you won't regret it. I really enjoyed working with Crissy. She is an amazing trainer, works you very very hard, but also makes the workouts fun. She does not cookie cut workouts, but tailors them for each individual client. I highly recommend her as a personal trainer. After losing over 85 lbs on my own Personal Transformation journey, I become Passionate about sharing my learning experiences with using a Holistic approach to Health & Fitness. 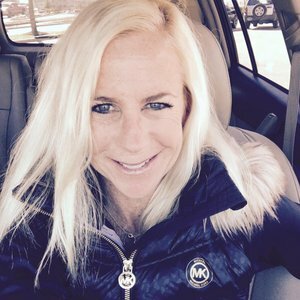 I pursued several certifications and began a new career as a Fitness Professional to add to my Occupational Therapy background of 13 years in Rehabilitation. Now, my desire is to help other women, as the primary caretakers in the family, to improve their Health & the health of their families, with a Holistic Lifestyle Change and Excersise through Dance, Fitness, & Yoga programs to Heal in Mind, Body, & Soul. I have been going to Brady for about 2 yrs. He knows his stuff! He does training full time and has a great passion to help his client's achieve their goals. Its not machines and weights with him, he has you work alot with using your own body weight and can easily do at home as well . He has experience with nutrition and can help answer some questions regarding reaching your goals. Brady keeps it interesting even if its a day you are dreading. When you finish you feel good about yourself. Calisthenics saved my life. Before finding this calisthenics exercise program my workouts were boring and I hated doing them. 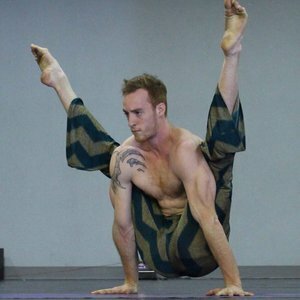 After calisthenics I am trying new things, I feel strong in my own body and I feel flexible enough to get into some crazy positions! I have been working with Mariela as my personal trainer for several months now. I have had many trainers in the past and Mariela is by far the best I have experienced. She is attentive, motivating, encouraging, and I can tell that she really knows what she is doing and she truly cares about your goals and success. I was never able to reach my goal weight until I started working with Mariela. I was overweight when I began her program, now just after 5 months I am at my goal weight. She seemed to know exactly what I needed to do in order to lose the weight, get toned, and keep it off. She also gave me nutritional advice to help keep me on track. I loved how she was willing to come to my house for a workout, meet me at a nearby park, or invite me to her personal studio once it got hot outside. I love working out with Mary, in just the two months I've been working out with her I've made some real progress. I'm slimming down and becoming more toned. She's also help me change my eating habits which has made a great difference. I'd recommend her to anyone looking for a personal trainer. I was a very tired mom of four children and 40 pounds heavier than I wanted to be and simply did not have the motivation to loose the unwanted weight. My husband ran across a face book page of Leia. He encouraged me to set up a consult because he knew how much I wanted a change. When I started working with Leia, I actually stuck with the plan that she set up for me. Leia's workouts were great because she PUSHED me to the max and that is what I needed. Not only was I motivated by the workouts, it immediately changed my eating habits. (Sweets may still be my weakness.) One year later... I am still working out almost every day and still making healthy food choices. Most importantly I am loving the way my body looks and just ran my 1st half marathon! Having Leia as my personal trainer has greatly impacted me and my lifestyle so that it includes fitness and a healthy diet. It has also made me a happier and confident person. I have now decided to become a certified personal trainer myself! Paul is very knowledgeable, well prepared and easy to work with. A nice guy who knows his stuff. Shannon has been by personal trainer and running & cycling coach for many years now. 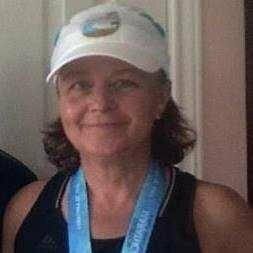 She has trained me to achieve many training and competition goals in weight lifting, running, and duathlon (run/bike). I have been able to lose weight and develop more lean muscle. She has taught me how to eat better to achieve my goals as well. I can't imagine my life without her guiding me toward my fitness goals. I have regained my quality of life thanks to Shannon! I highly recommend her as a trainer and coach. She will help you create a healthy lifestyle change to live a long and healthy life. I have lost 60 pounds and JC was a big part of that. One of the first things I noticed is that JC spoke to me and not at me, as other trainers had before. Not only is JC knowledgeable about exercise and body mechanics, he also empowered me and gave me the confidence to exercise , which has always been a challenge for me…and he made it fun. JC was instrumental in helping me achieve a healthy weight, core strength and the confidence to maintain. After working out with Personal Trainer Shefali Webster, you are ready to face whatever the day brings. Most of all, you can achieve whatever goal you set to maintain for yourself. Veronica a good trainer , She encouraging me to find the best workouts for strengthen my muscles and lose weight. Excellent motivator to achieve my goals. She is excellent in time management skill. Great workouts with her. Nice Person. Superb workout session and great advice on how to maintain my posture. 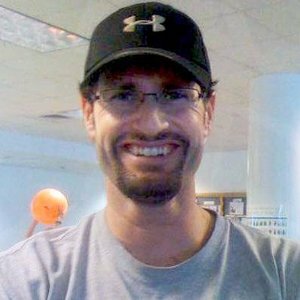 Jason Steeves has been my trainer for both functional movement and fitness training for nearly 3 years now. When we started he had me do an assessment to see where my strengths and weaknesses were and then he developed an individual plan for me. In training we incorporate times of stretching, cardio and strength training. Each time we have a session Jason not only works with me to improve my functional movement and fitness but he is also very good about demonstrating each exercise and explaining what the goal of each exercise or movement pattern is. 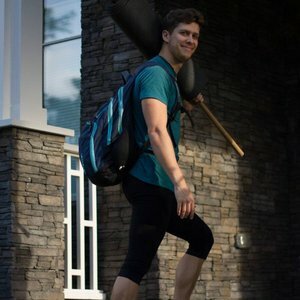 I have participated in both one on one and small group sessions and even in small groups, he is able to focus on each individual in the group as we work out and give pointers and feedback. 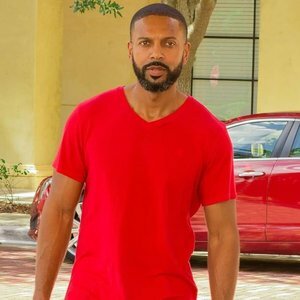 Another great thing about him is that he is not only educated in functional movement and fitness training but he also had a very good background in the areas of healthy lifestyle, clinical nutrition, diet and herbs and is able to incorporate advice in how to apply those healthy living principles in ways to improve mobility and strengthen the body. He is good about keeping things focused as we train but is also glad to answer questions and regularly encourages me as we train. 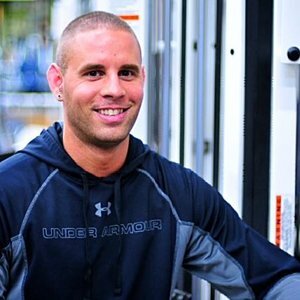 Whether you are new to functional movement and fitness training or already a seasoned participant I strongly recommend Jason Steeves as a great trainer to help you on your journey to greater health. Are you a Houston trainer?